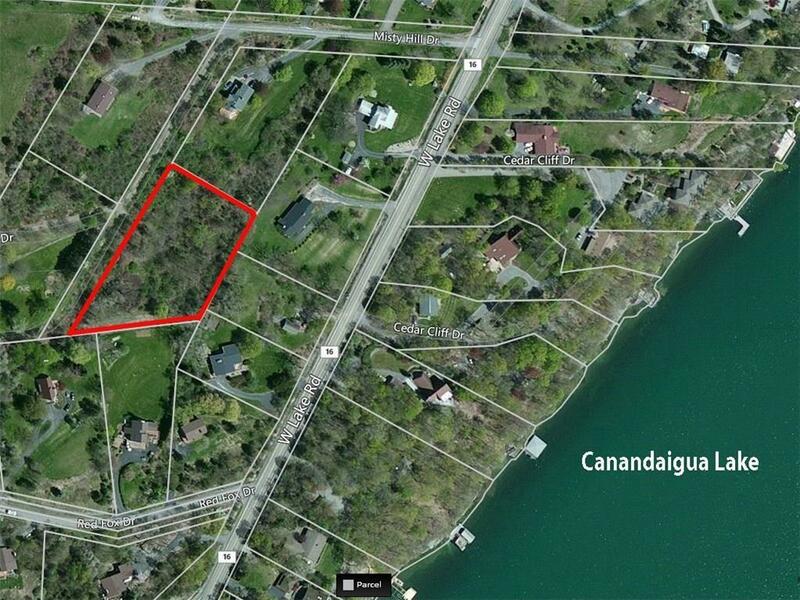 Rare, wooded 1.4 acres building lot with scenic Canandaigua Lake view! Ideal private raw land site to build your dream home in the Heart of the Finger Lakes Region! Canandaigua Schools. Enjoy nearby lake, hiking, wineries, festivals, snow skiing & much more! Very convenient to Camp Onanda Park for picnics/swimming/boat launch, marina, Finger Lakes Performing Arts Center, Canandaigua City & shopping. Easy commutes! Directions To Property: West Lake Road To Misty Hill Drive To Top. Last Lot On Left. Look For Sign.